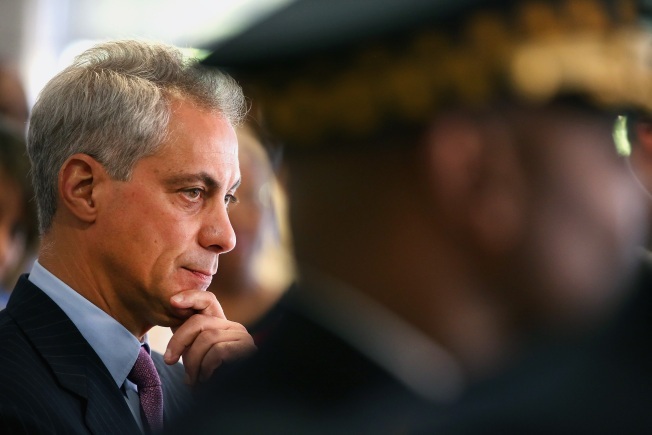 Rahm Emanuel has yet to show that he’s got answers for Chicago’s problems. Now, he’s got another four years to either hope the ones he’s given pan out, or to come up with new ones. Voters sent a message to Mayor Rahm Emanuel in February that they were upset enough with the direction he’d taken the city to send him to an unlikely runoff. On Tuesday, however, it was made clear that not enough upset voters turned out to take a chance on the unknown in the form of Jesus "Chuy" Garcia. Voters may be irritated – with Chicago’s rising taxes, declining services, near junk-bond status and the mayor’s imperious attitude towards almost everything and everyone – but they still decided to give Emanuel a second term. Time will tell if the mayor will see his runoff win as vindication of his policies and tone, or if he will see fit to alter either of them. Chances are, at 55 years old, he is who he will always be, and he believes what he believes. 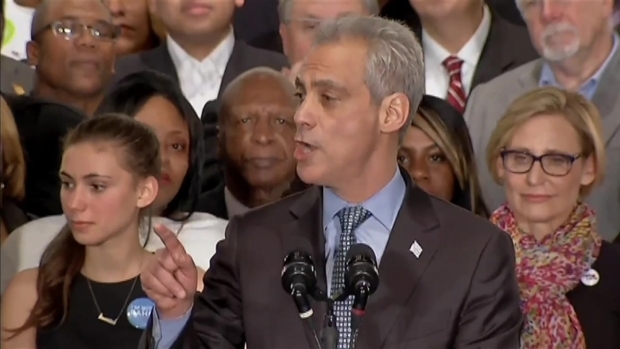 Emanuel will likely double-down on giving more taxpayer money to large and already profitable business, continue to antagonize labor unions, work to fund charter schools even as regular neighborhood schools starve for resources, privatize city assets, services, or at least the management of them, and continue to first reward campaign contributors with city money, as a rule. Rahm Emanuel won his re-election contest Tuesday night and bested challenger Jesus “Chuy” Garcia to remain in charge of Chicago for another four years. If you listen closely, he doesn’t much hide any of that. He celebrates it. Privatization is lauded as more efficient. Non-unionized charter schools that don’t produce better test scores than regular public schools are touted as "choice" for parents, TIF giveaways to gigantic corporations to develop in the city’s most developed and affluent areas is celebrated because focusing on the city-center will supposedly help out the surrounding and blighted communities. Perhaps the center-out, or trickle-down economics that Emanuel believes in will eventually work. Or, perhaps, it will continue to create problems just as it did for Ronald Reagan, nationally or Emanuel’s predecessor, Richard M. Daley, here in Chicago. Taxes will also likely continue to go up, under Emanuel, whether they come in the property tax line item or hidden in other taxes and fees as they have the past four years. The election has gotten a good deal of attention from national observers because it is so rare to have any competition in Chicago races. However, those same observers should be wary to extrapolate from Tuesday’s election. Chicagoans decided to give one of their most-well known, well-funded and politically connected citizens another term in office. That shouldn’t be a surprise, and it may not have anything to do with how they vote in any other coming elections. We like our leaders strong more than we care about their ideas, and sometimes if you squint, and there is no quality alternative available, "jerk" looks a lot like "strong." Emanuel has won, and he should take personal satisfaction in it because all elections are, fundamentally popularity contests. Enough Chicagoans like Emanuel, they really like him. But he’s just stuck with the same job, now – running a city in crisis, that hasn’t substantially improved its position in the four years he’s already been at the helm. There will be no easy answers, for Emanuel. The last four years has shown that. He promised 1,000 police officers, and he had to resort to reassignment shell games to distract from the fact that he didn’t provide them to communities ravaged by crime. He promised balanced budgets but had to make Chicago further indebted in order to produce them. He said he wouldn’t raise property taxes, but he did, as well as other taxes and fees. Emanuel has yet to show that he’s got answers for Chicago’s problems. Now, he’s got another four years to either hope the ones he’s given pan out, or to come up with new ones.